and informative in our research were not being talked about in nursing or health care at all, outside of a few PhD level classes. theories we used for this paper, whether intersectionality theory, critical race theory, or postcolonial feminist theory. One of the main goals of our project was to intentionally and carefully distill the main ideas of these theories and make them understandable and applicable for nurses who may be unfamiliar with them (see Figure). provide nurses with the tools to identify and disrupt the major structural processes and oppressive ideologies that create marginalization and inequity. These ideologies are a controlling influence on our profession and health care as a whole. And so, we thought, what if we could outline specific ways to bring an emancipatory approach to our current understanding of cultural competency? 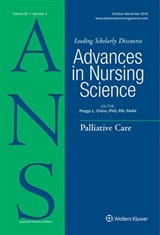 We began in our knowledge of the theories that seek to disrupt oppression and hegemonic thinking that create health inequities, and used this to come up with tools to equip nurses with new ways of thinking about and caring for populations that are different from them (even, and especially, for nurses who are well intentioned and think they are being “culturally competent”). especially for people who benefit from having more power and privilege because of the color of our skin, or our gender identity, or the country where we were born, or the letters behind our name. world. Continuing to approach difference in the ways we always have will mean that we completely misunderstand and erase certain populations (e.g. people of transgender experience) and/or that we continue to create unintentional and implicit bias for other populations (e.g. people who experience racialization and are therefore considered “racial or ethnic minorities” in the U.S.). ideas, that might begin with questions like: Where else have nurses already been applying an emancipatory approach to cultural competency, as we suggested here, in our educational and clinical programs? What does it look like for nurses to remain self-reflexive about our own biases? How does implicit bias contribute to inequitable patient outcomes? What would it look like for the nursing profession to shift from the phrase “cultural competency” to the concept of cultural safety2, which more accurately represents the emancipatory approach we suggest here? What have you already been doing or thinking about in this area? We would love to hear from you. As the largest health profession in the U.S., we can create a slow and steady shift that leads to lasting change and health equity for all people. Please share your thoughts, publish your experiences, and let’s keep the conversation going! Merriam-Webster Dictionary. Available at: https://www.merriam-webster.com/dictionary/emancipate. Accessed October 31, 2018. Mkandawire-Valhmu L. Cultural Safety, Healthcare and Vulnerable Populations: A Critical Theoretical Perspective: Routledge; 2018.